geles Auto Show, December 2, 2009. The newest member of the Boxster family stands out from the other versions of Porsche's mid-engined roadster. Its low-slung, lightweight soft top – when closed – extends far to the rear to protect the driver and passenger from bright sunshine, wind and weather. This top, when combined with extra-low side windows and two striking bulges on the single-piece rear lid, provides the Boxster Spyder with a sleek silhouette reminiscent of the Carrera GT. 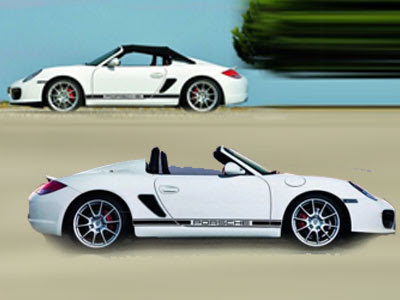 The Boxster Spyder features a 3.4-liter six-cylinder engine with Direct Fuel Injection upfront of the rear axle. 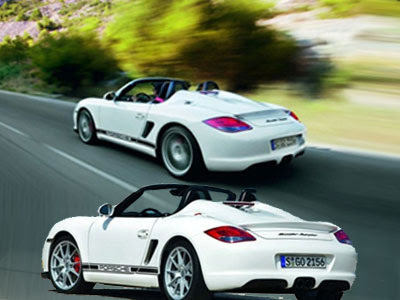 Maximum output is 320 horsepower (hp), 10 hp more than the Boxster S. The Porsche Boxster Spyder accelerates from a standstill to 100 km/h in 4.8 seconds. The Porsche Boxster Spyder top speed, in turn, is 267 km/h or 166 mph – with the roof open.The combination of 10 more hp and 176 pounds less weight than the award-winning Boxster S, plus an all-new sport suspension that lowers the Boxster Spyder 20 mm, a lower center of gravity, a standard limited slip differential, and exclusive wheels provides the kind of driving dynamics that back up the unique look. Aluminum door skins and lightweight interior door panels from the 911 GT3 RS contribute to the weight reduction. 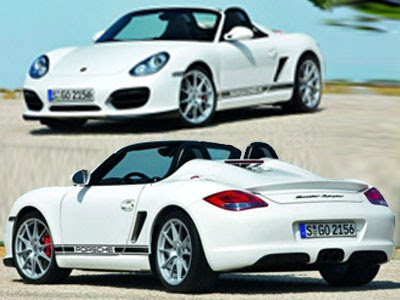 Market introduction of the new Porsche Boxster Spyder will start worldwide in February 2010. The base price in the Euro countries is 53,100 Euro. 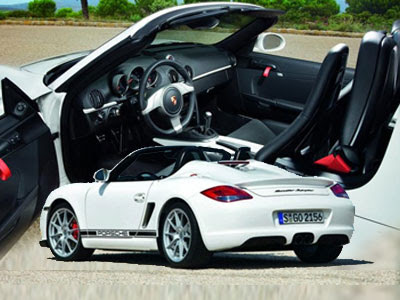 Including 19 per cent VAT and national specifications, the market price of the new Porsche Boxster Spyder is 63,404 Euro.Boxster Spyder is a regular, but specially developed and upgraded production model as compared with the Boxster and Boxster S.